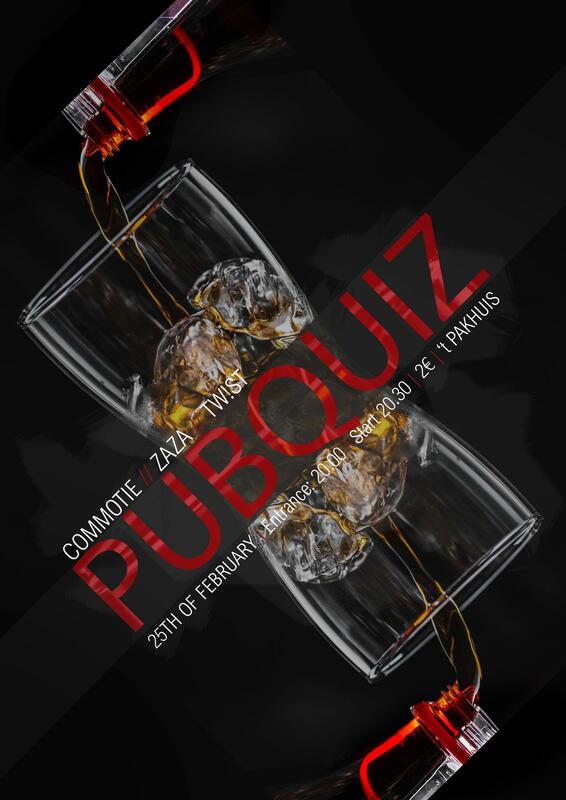 Of course we will organize the annual pubquiz with ZaZa and TW!ST again! This evening will test your general knowledge and your knowledge of random useless facts. You will do the pubquiz in groups containing members of each study association. You have to sign up in duos but if you want to participate alone that is possible as well! So make sure you state with who you want to be in a duo and we will make sure that you are in the same group. Both of you have to sign up! The price is 2 euros and the evening will start at 20:00 and the pubquiz itself will start at 20:30. It will take place at Het Pakhuis, Peperstraat 8-2. See you there!